British clothing retailer Primark is currently facing controversy over a T-shirt themed around a much-discussed moment from the last season of The Walking Dead. 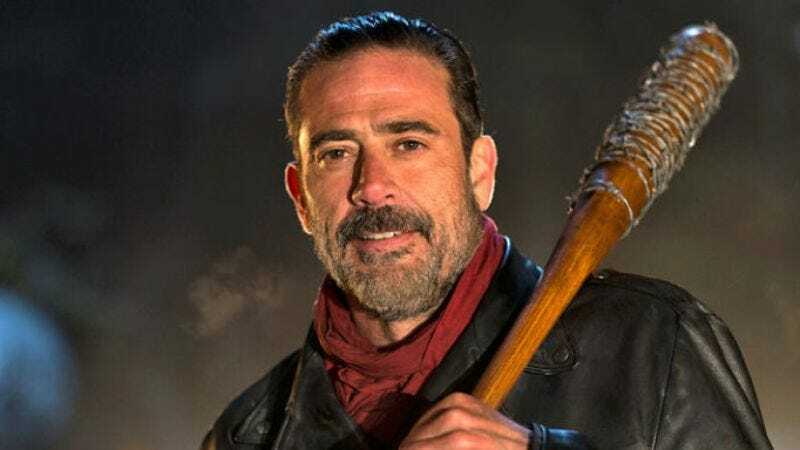 The shirt carries a picture of Lucille, the barbed-wire-bound baseball bat wielded by Jeffrey Dean Morgan’s maniacal Negan, and the words “Eeny meeny miny moe,” the counting rhyme he used when deciding whose head to smash in during the show’s sixth season finale. The outcry stems not from the glorification of onscreen violence or gimmicky camera tricks, though, but from the fact that Negan’s counting rhyme has had a lot of variants over the years, and some of them have been explicitly racist. Specifically, there’s a well-known version—popularized by Rudyard Kipling in the 1930s—that replaces the word “tiger” in the second line with a racial slur that also ends in “-ger.” For someone who grew up with that version of the rhyme in their head, then, the shirt is less a fun reference to bloody TV murder, and more of an implied racial slur combined with the threat of physical violence. This isn’t the first time the rhyme has gotten companies in trouble; Southwest Airlines ended up in a lawsuit in 2003 after a flight attendant used it to encourage two African American patrons to take their seats. The courts eventually found in Southwest’s favor.